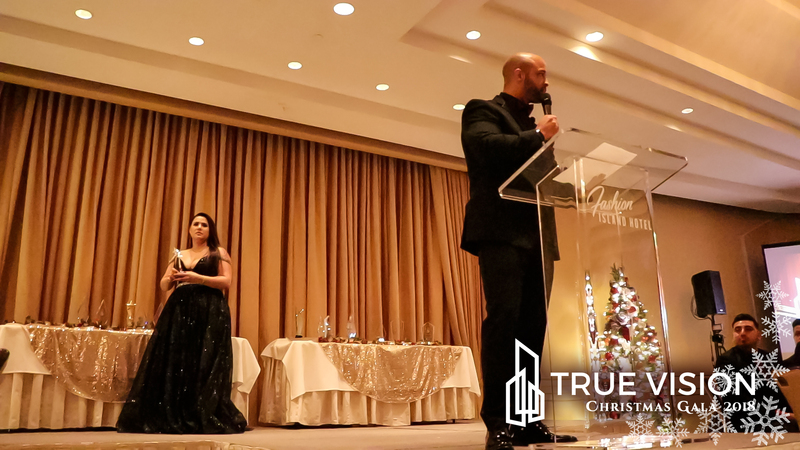 Saturday, December 8th, 2018 – True Vision held it’s Annual Christmas Gala at the Fashion Valley Hotel. This year’s event saw many of the top performers in the True Vision network gather to celebrate a record-breaking year of success. Awards were received in addition to one of the evening’s highlights, the Annual Toys-for-Tots drive. An effort continually led by COO, Holly Long, the True Vision Network has assisted in brightening up the Christmas Holiday for thousands of children through the Toys-for-Tots Foundation.